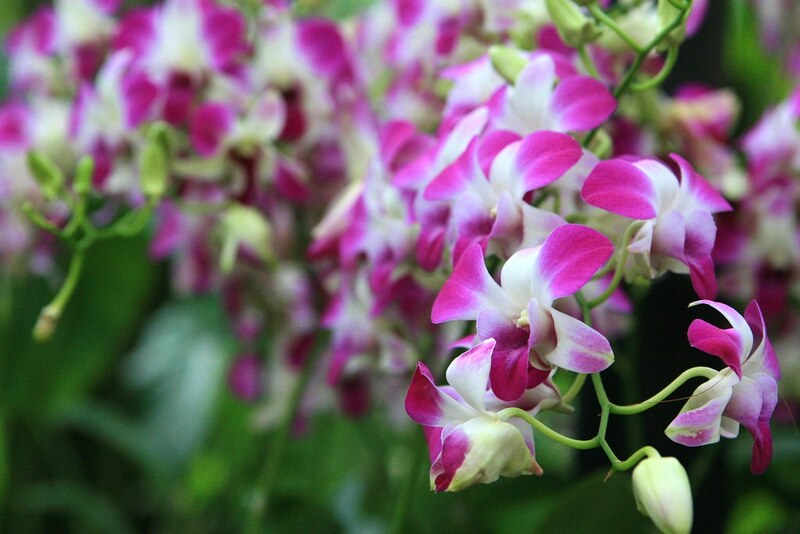 One of my must-visit locations in Singapore was the Botanical Gardens. And they were huge! They're completely free so in some places it's more like parkland with excessive exotic plants. I think I could have roamed around quite happily in the sunshine for a whole day, but we made the most of our morning there and followed one of the wide, winding trails. 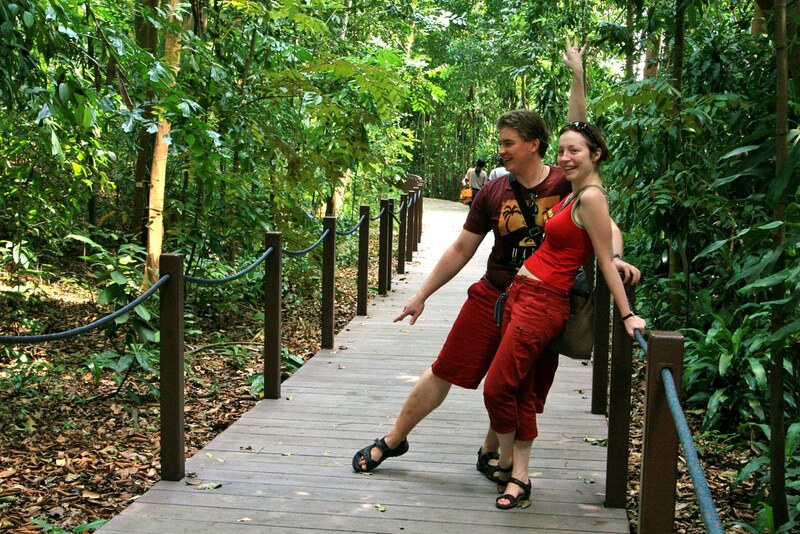 Rainforest used to cover much of Singapore, and this has been preserved in little pockets. 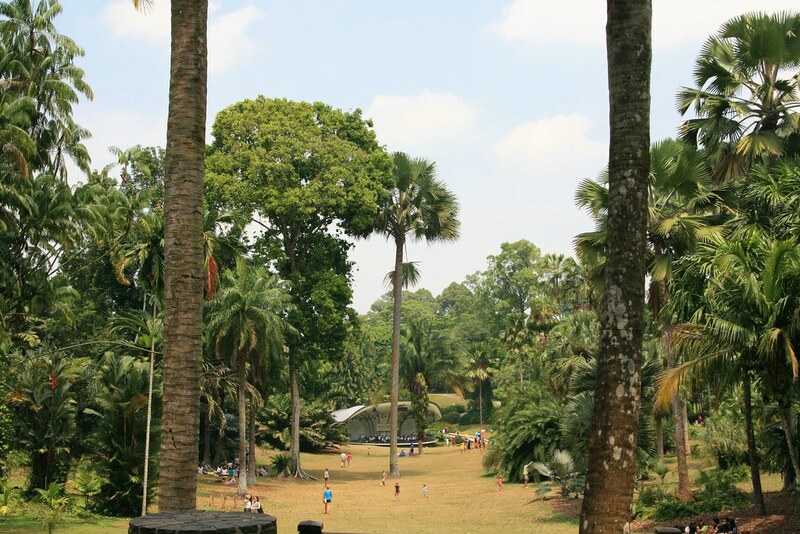 It's inhabited by a surprising amount of wildlife: we saw a monitor lizard, and huge butterflies and chipmunks! (Just to clarify, the chipmunks were normal size, just the butterflies were huge). 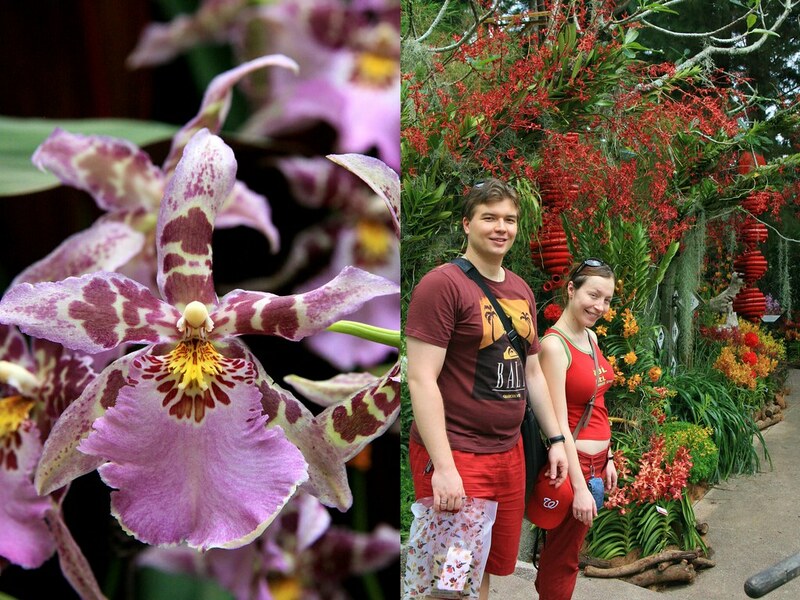 Singapore is apparently famed for its orchids, and having dropped a very reasonable $5 to visit the orchid garden, I could see why. 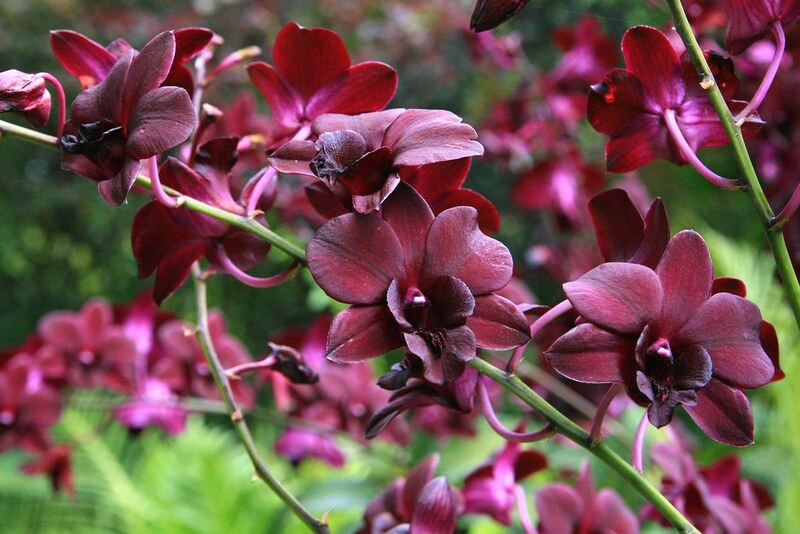 Garden is a misleading term: in this context it means giant park bursting with every kind of orchid imaginable. And then some. 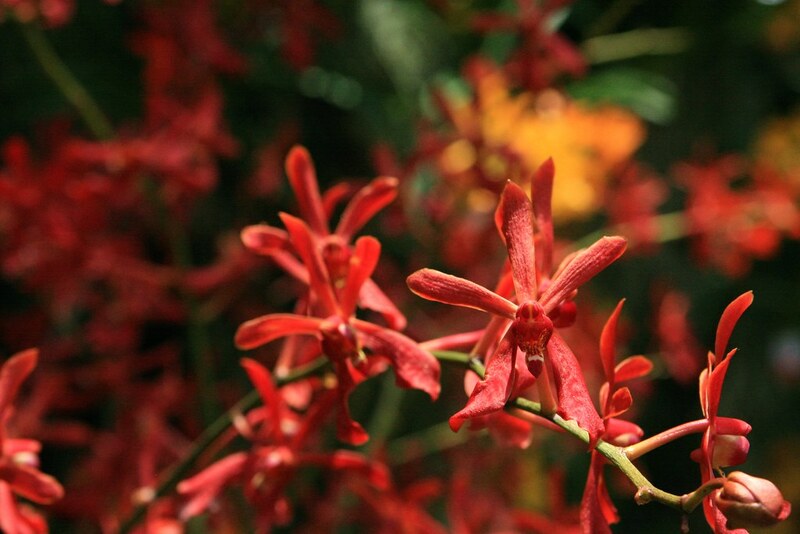 They were a completely wonderful riot of colour; incredibly vibrant and beautiful. You aren't allowed to pick them though. Unless you want to go to jail or similar. There was a sign that said so, and I didn't want to go to jail. 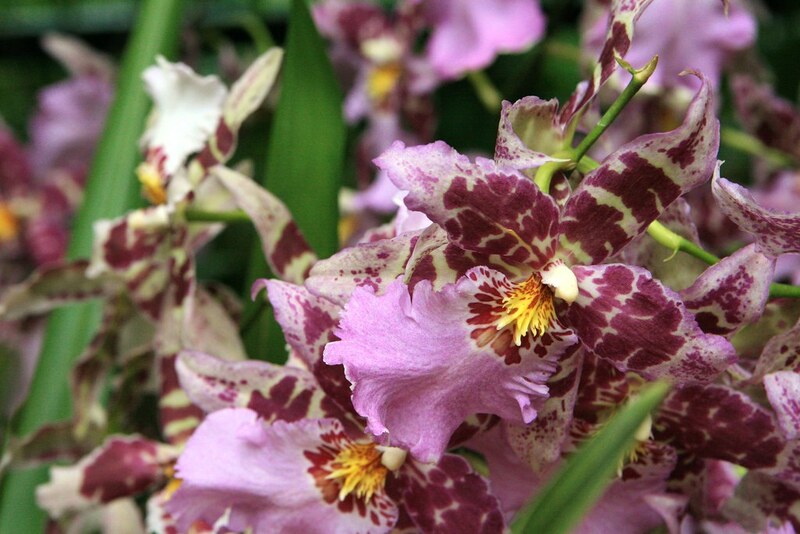 There's a rather lovely custom of naming new hybrid species of orchid after important visiting dignitaries, and there's a whole section of the garden dedicated to celebrity orchids. I wanted to get one named after me, but that option didn't seem to be available. Maybe next time. Looking at all those flowers is hungry work, and an ice cream sandwich seemed like a good idea. Frankly, I think I would always be of the opinion that an ice cream sandwich is a good idea, whether I've been looking at flowers or not. 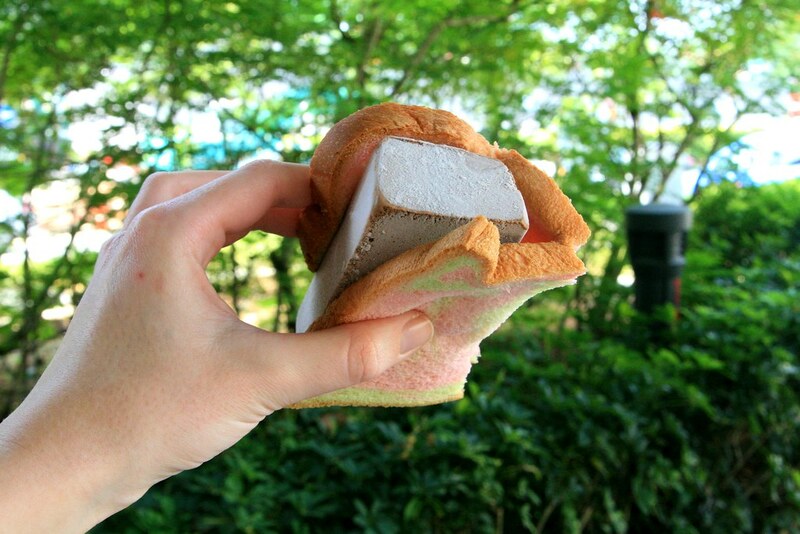 I was a little taken aback however, to be handed a block of ice cream in a slice of bread. Should have guessed from the name really. P.S. 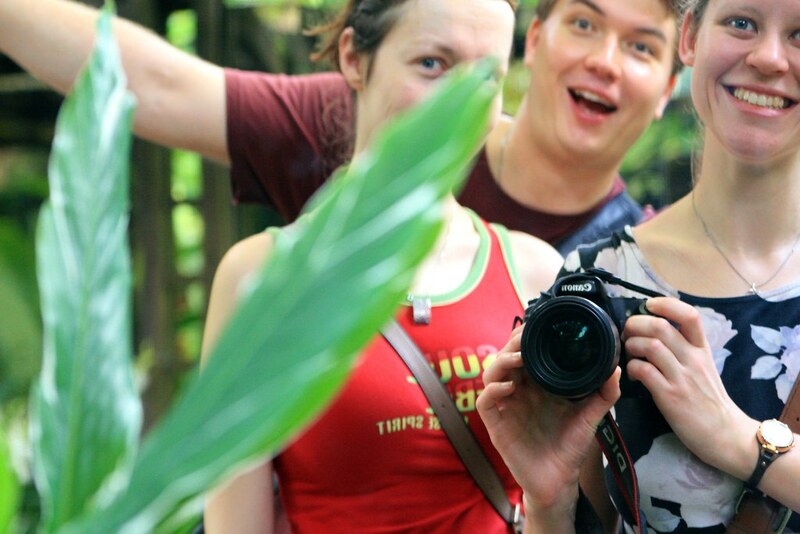 *sigh* I really LOVED Singapore. Your posts are making me wistful! I applied to teach in Singapore a few years ago and even had interviews in London but in the end I decided it wasn't the right time and it helped make my decision to have a baby and stay in sunny(!) Leeds! I will have to visit one day! So many wonderful, wonderful things to comment on from your post and the one question I'm dying to ask you is, 'Were you REALLY served that as an ice cream sandwich?'....?????!!!!!! It may have been a slice of actual bread, but it looks like pretty bread! The Gardens are wonderful, aren't they? 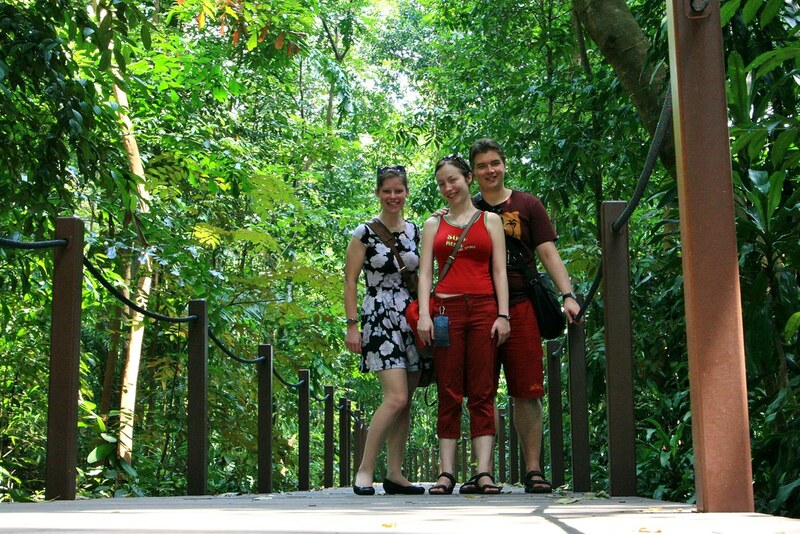 Did you get a chance to go over to Sentosa Island?